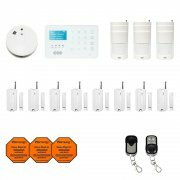 Are you looking for a secure wireless video surveillance with 2 to 8 cameras? NEW: NOW WITH wireless MOUSE! 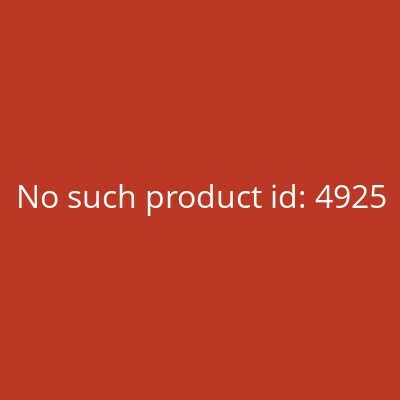 More information can be found below in the description. 1. 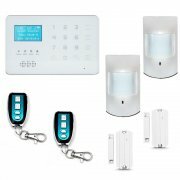 Video surveillance without internet connection. The system works locally in its own radio network, the recorder is not connected to a router. The cameras send their secure WLAN signal to the recorder, where the video images are stored. The live images and recordings can be viewed from any monitor with HDMI input or TV. 2. 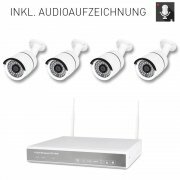 Video surveillance with Internet connection via DSL. The system works in its own wireless network, the recorder is connected to a DSL router. The cameras send their secure WLAN signal to the recorder, where the video images are stored. The DSL router establishes a secure connection to the German server. The live images and the recordings can now be viewed via the app AMGoCam with any iPhone and Android smartphone from version 3.0. In addition, the live images and recordings can be viewed from any monitor with HDMI input or TV. 3. 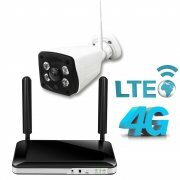 Video surveillance with internet connection via UMTS / LTE router. The advantage of this solution is the use in any place where UMTS or LTE radio coverage exists, a DSL connection is not needed. 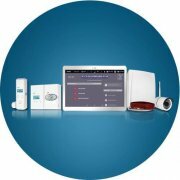 Also in this solution, the system works in its own wireless network, the recorder is connected to a wireless router. The cameras send their secure WLAN signal to the recorder, where the video images are stored. 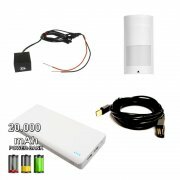 The mobile router establishes a secure connection to the German server via the mobile telephone network. This requires a SIM card with UMTS or LTE data plan. It is recommended to use a contract SIM card with at least 3 GB of data per month, such contracts are already offered for less than 10 euros per month. The live images and the recordings can now be viewed via the app AMGoCam with every iPhone and Android smartphone from version 3.0. In addition, the live images and recordings can be viewed from any monitor with HDMI input or TV. The SIM card is not part of the AMGoCam system, please use your smartphone to check the reception strength at the planned location of the video system and select a provider with sufficient radio coverage. 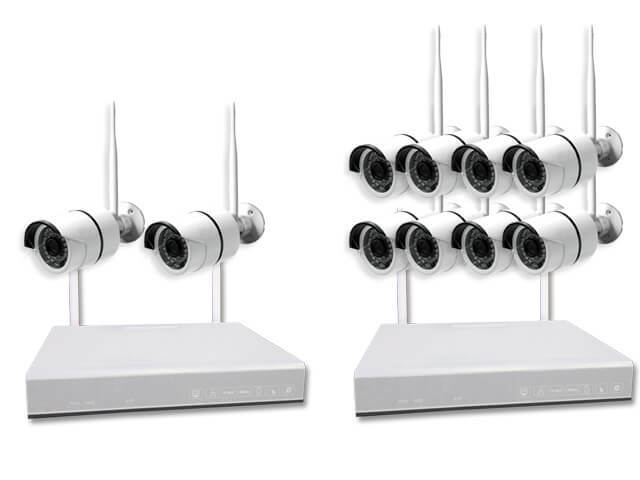 One of the most important topics in wifi video surveillance is the wifi range between the camera and the recorder. 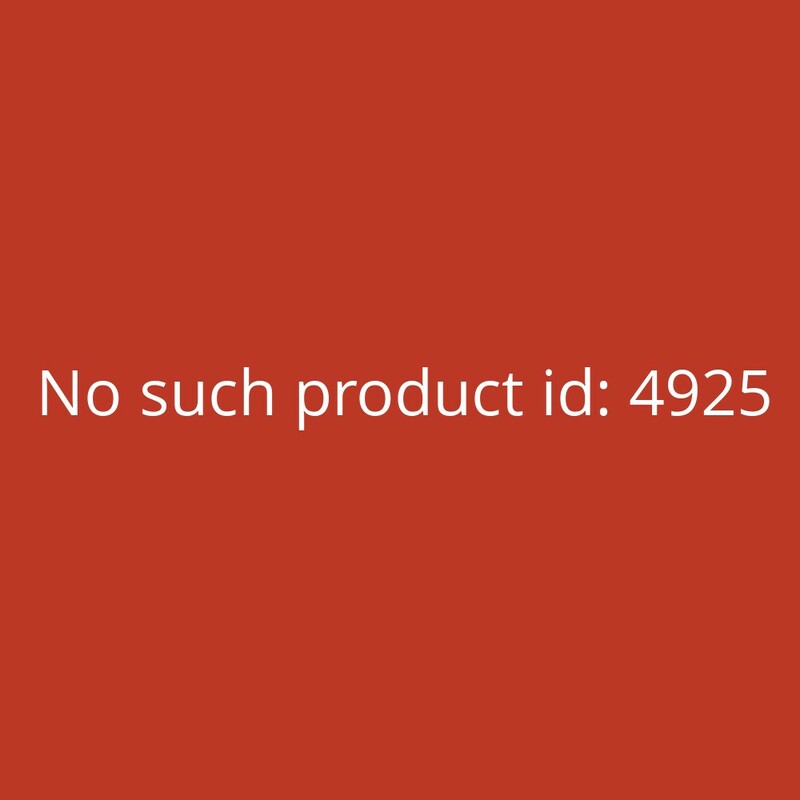 If the range is insufficient, the system can not be used. Unfortunately, you notice this only during assembly, then it means: dismantle everything and send it back. The AMGoCam video surveillance system solves this problem from the beginning. All AMGoCam cameras are equipped with a new repeater technology. 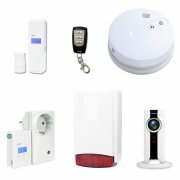 If the wifi signal is not enough from the installation site of the camera to the recorder, another camera can take over the signal forwarding. As a result, wifi ranges in the protected WLAN network are possible, which were previously unthinkable. 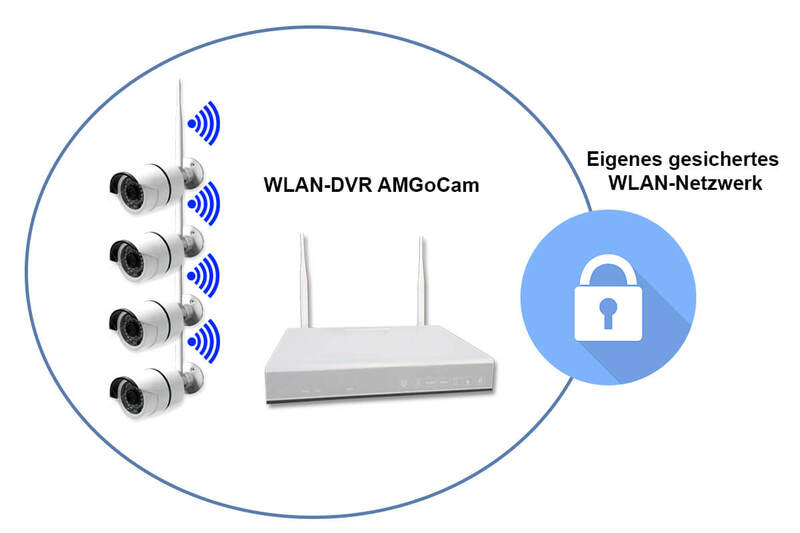 The AMGoCam video system forms a separate, closed WLAN network between cameras and recorders, so the operation of the cameras does not disturb their home WLAN network. In darkness, the cameras need additional lighting. 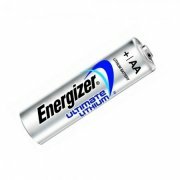 For this purpose, invisible to the human eye infrared light is used. This IR light is generated by special LEDs in the front of the cameras. There are two types of infrared lighting, the difference is clearly visible when you look in the dark directly into the camera. 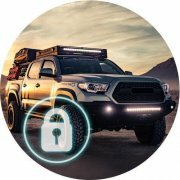 Most sellers only offer cameras with 850nm IR illumination. 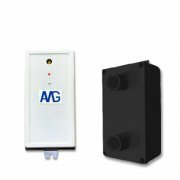 With the AMGoCam video system, you have the freedom of choice for night-vision illumination. Finally, video surveillance is also possible over secured servers in Germany. The German server has the sole task of establishing the connection between your smartphone and your recorder, storage of personal data or videos does not take place on the server. The big advantage is a faster, more stable and secure connection between your video recorder and your smartphone, than the recorders with server connection abroad. To about 95% access the low-priced video surveillance systems on a server in Hong Kong or China, which can lead to long loading times or aborts of the connection. And how well your data and video images are protected abroad, can only be speculated. 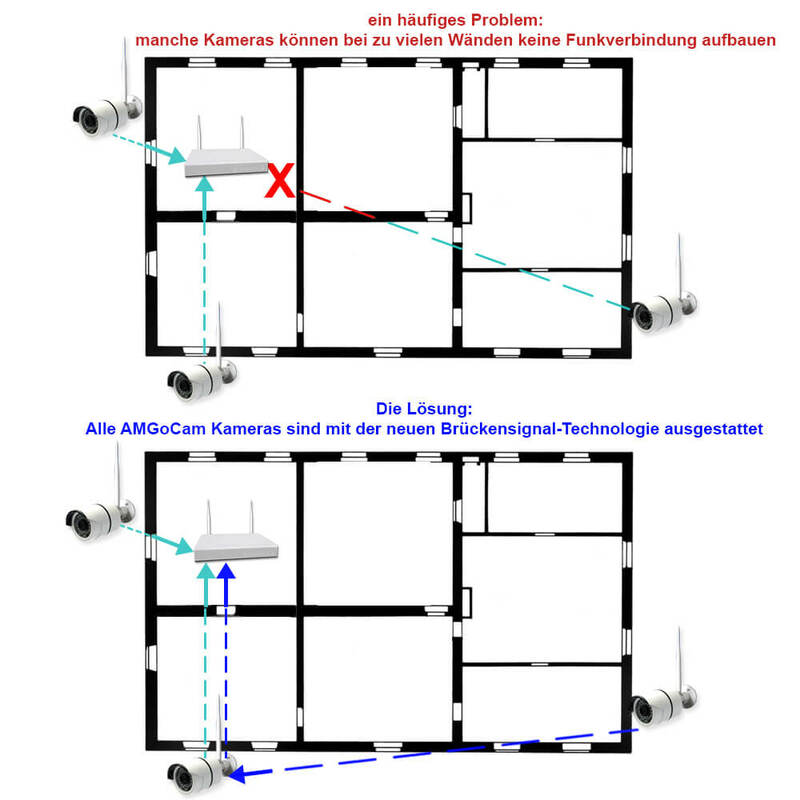 With AMGoCam Video Surveillance you receive a reliable and fast data connection with data protection according to the strict German data protection laws. 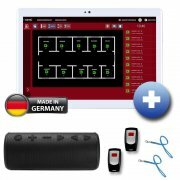 For privacy reasons, no videos are stored on the AMGoCam servers in Germany. You will only receive a redirect account that allows you to access the stored videos of your recorder with smartphone / tablet. And this server account is free and remains free. How the providers of foreign servers behave in the future has yet to show up. Not every camera is suitable for every application and purpose. Here, a distinction must first be made between video surveillance indoors and outdoors. 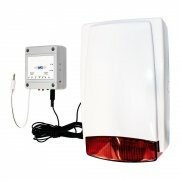 is a wall camera that is suitable for indoor and outdoor use. This camera has a wide-angle lens with 4mm lens and a resolution of 960P (1280 x 960Pixel = 1.3 MP) It is the most used camera. The wall mount allows mounting on wall or ceiling and an orientation horizontal OR vertical by 90 °. 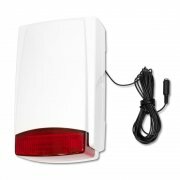 For indoor use and outdoor use up to 15 m, the invisible infrared lighting 940nm is recommended. 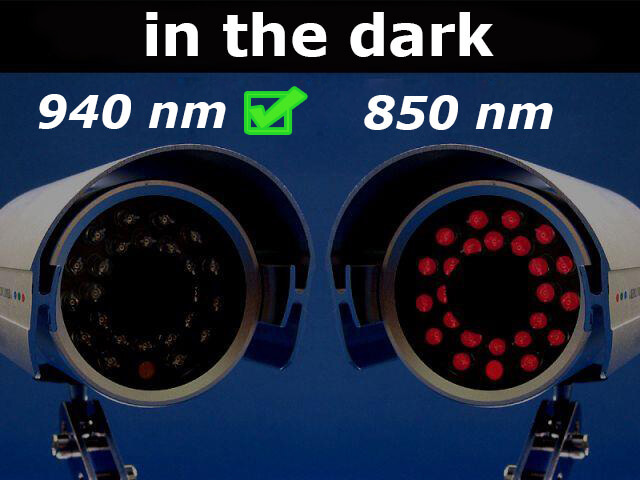 In outdoor use with surveillance over 15 m distance, infrared lighting with 850nm (because of the longer range of the IR light) is recommended. is a panoramic camera suitable for indoor use. This camera has a super wide angle 1.55mm lens with a resolution of 960P (1280 x 960Pixels = 1.3 MP) It is a special camera that allows you to monitor a whole room with 1 camera. 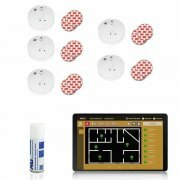 The camera can be mounted on the wall or ceiling in the middle of the room. The infrared lighting is achieved by means of 3 high-power LEDs in 850nm. 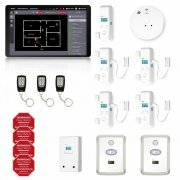 This camera is recommended if one camera is to monitor as much of a room as possible. 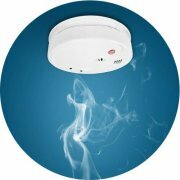 is a dome camera intended for indoor use. This camera has a wide-angle lens with 4mm lens and a resolution of 960P (1280 x 960Pixels = 1.3 MP) The camera is usually installed on the ceiling or wall in a corner of a room. As a result, it is quite inconspicuous, the infrared illumination is done with 850nm LEDs. 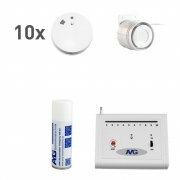 This camera is recommended for unobtrusive surveillance of rooms with a ceiling or wall mounting. is a panoramic camera for outdoor use. This camera has a super wide-angle lens with 1.44 mm lens and a resolution of 1080P (1960 x 1080 pixels = 2.0 MP) It is a camera with high resolution and the highest possible 175 degree all-round surveillance. The camera can be mounted on the wall or on the ceiling. The infrared illumination takes place by means of 4 high-power wide-angle LEDs in 850nm. 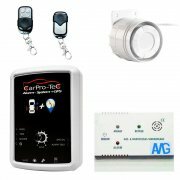 This camera is recommended for monitoring very large areas, if it is important that the side of the camera as seamless as possible to be monitored and works only with "AMGoCam P" . 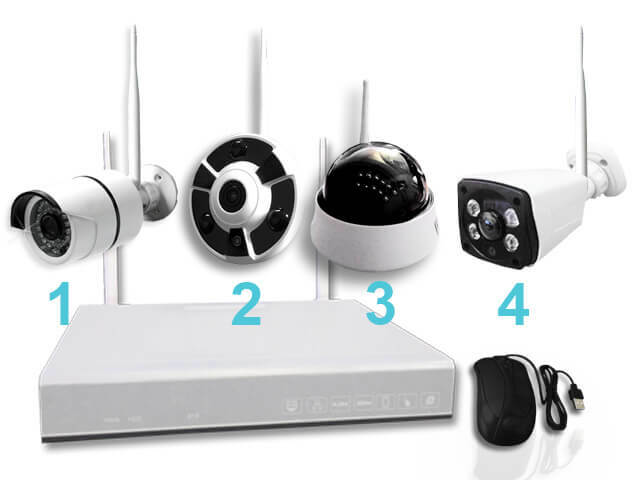 For video surveillance, cameras with 1 megapixel (720P) 1.3 MP (960P) and 2.0 MP (1080P). resolution are typically used. All these cameras have an identical pixel size of the image chip in the camera. As a result, you will not see a sharper image at higher resolution, but a larger image. In the case of the 720P cameras, which are usually used in cheap video systems, the effect is as if you are looking through a keyhole, the picture area is very small. 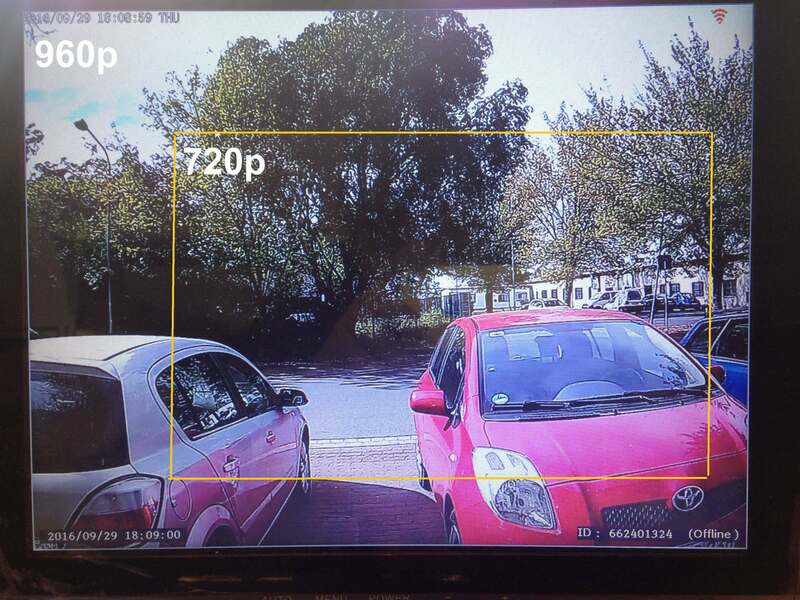 The image below compares the view of a 720P camera with the view of a 960P camera when using a standard 4mm lens. The 960P video image provides over 30% more information, you just see more right, left, up and down. When using a 1080P camera you will see about 100% more than a 720P camera. The 960P cameras are the best average for everyday use, with a good price-performance ratio. It should also be noted that a hard disk can store a shorter monitoring period if the amount of data is very large. The greater the resolution of the video image, the larger the hard disk must be to store the same amount of time. So for the surveillance of rooms and conventional plots, a 960P camera is the best middle way. 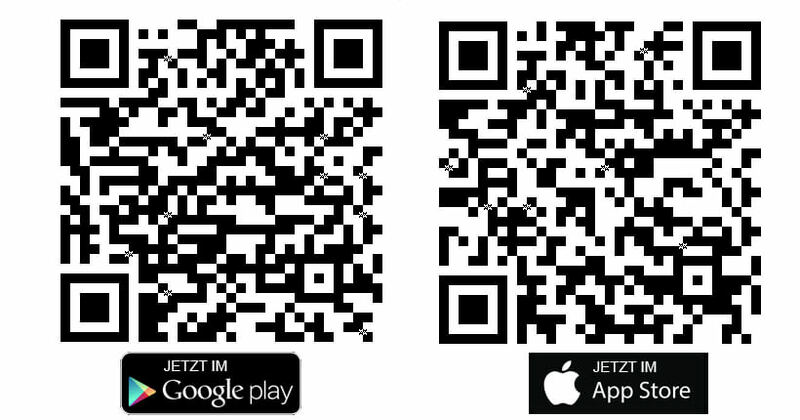 The app AMGoCam is available for iOS and Android from version 3.0 free to download. 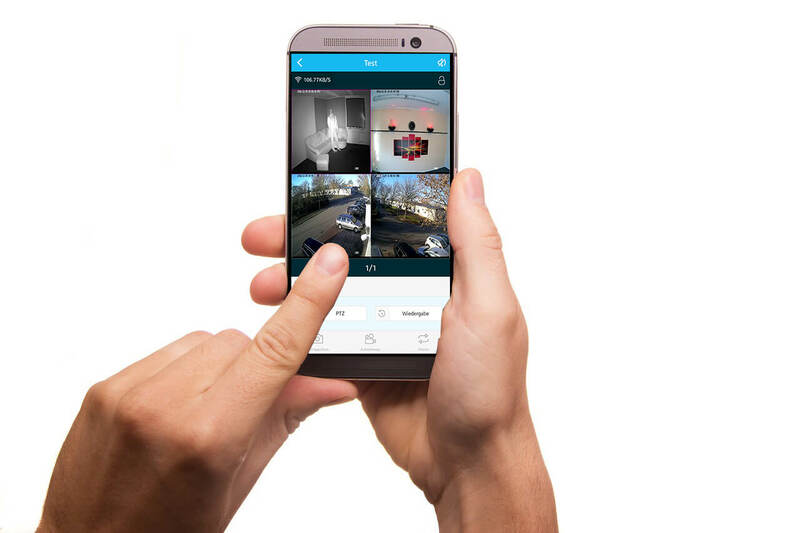 With the app you have the opportunity to see the pictures of individual cameras or in the multiplex view 4-8 cameras. In addition, you have the option of retrieving the recordings on your recorder and viewing them remotely. The prerequisite for remote access is that you have connected your recorder to the Internet via a DSL or mobile router. The app is available with a english menu and is very easy to put into operation, an easy-to-understand instructions will be included with the video surveillance system. 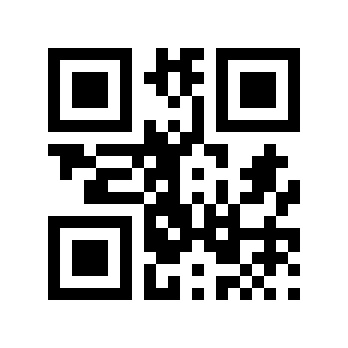 Use your smartphone / tablet to search for and download the App "AMGoCam" from the Google Playstore or Apple Store. 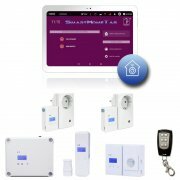 The WLAN-DVR is a closed system with trouble-free, well-secured wireless LAN transmission. The video images are not, as usual with wireless cameras, transmitted to the DSL router, but only to the digital recorder. 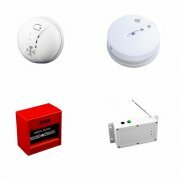 But the recorder has its own wireless receiver and forms with the 4-8 cameras an independent wireless network, which outsiders can not access! 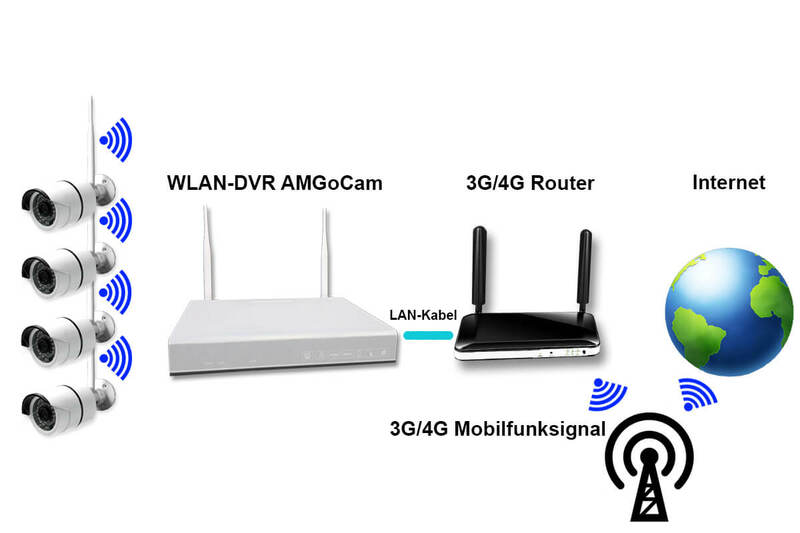 The WLAN-DVR has a stand-alone 2.4 GHz Wi-Fi network, it can not be integrated into the local home network. The internet connection is made via a LAN cable to the router. 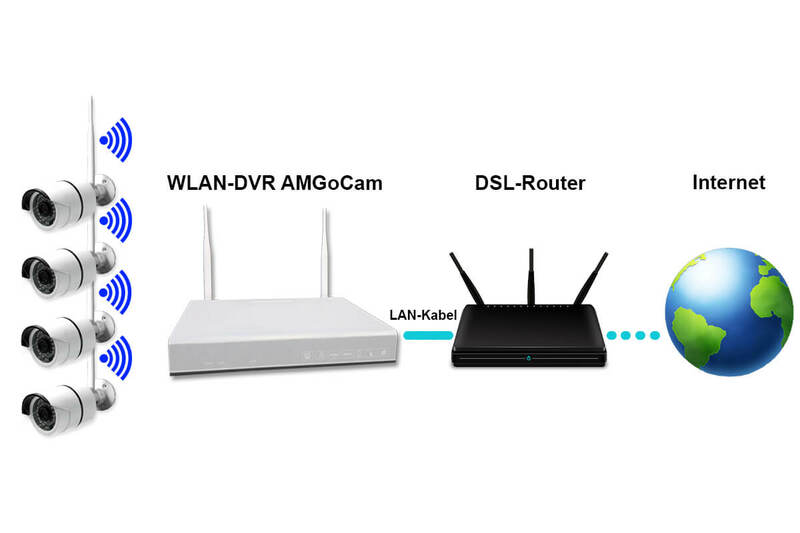 The WLAN-DVR works as a stand-alone, independent wireless surveillance system, if desired without connection to your DSL router. 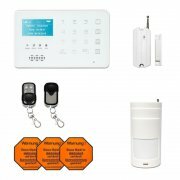 The radio signals of the cameras are transmitted with the latest, secure WLAN WPA / WPA2 encryption directly to the recorder where they are converted into image signals and recorded. As a result, it is not possible for strangers to "intercept" and view the radio signals of the cameras. 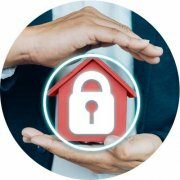 Your privacy is secure, no stranger can look into your living room or your business premises without authorization. Of course, you can also access the LIVE images worldwide via the Internet. For this, the powerful free app AMGoCam for smartphones is available. The wifi transmission is digital and encrypts directly from the cameras to the recorder, which is equipped with a dual antenna technology. This technology ensures very good wireless ranges and there are no (the otherwise often occurring in radio systems) image interference instead. We have successfully tested 40 m in the building with 2 walls or 1 floor in between and 100 m in the open air. Should this not be enough, it is possible to use the described repeater technology. This will then send the radio signal from one camera to the recorder via up to 2 other cameras. The forwarding cameras also send their own image to the recorder without limitation. This new monitoring system is suitable, e.g. 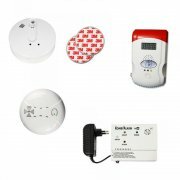 for private individuals, smaller shops, offices, country houses etc. 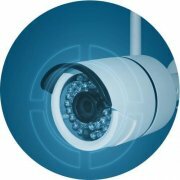 Video surveillance is not easier and safer possible. And that too at a particularly favorable price-performance ratio. Take the opportunity, we are sure you will not find a better deal anywhere.